Today I downloaded the state vectors for New Horizons and MU69 Ultima Thule and subtracted their positions. The two new get closer than about 596,000 kilometers. These suggest to me that the New Horizons state vectors should be quite accurate as they have been revised after the flyby, and that the MU69 state vectors are wrong because 118 days in 2015 is not enough data to predict the position accurately at the end of 2018. But could it really be off by over a half-million km? There certainly must be a better solution somewhere for MU69; was it not released to the public? Have I simply done something wrong? Thanks to Jon. D. Giorgini at NASA JPL for pointing out that there is indeed a much newer solution in Horizons. 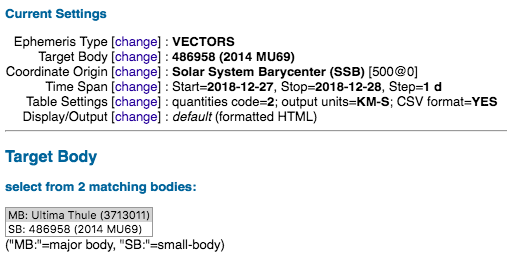 Note that the new solution for Ultima Thule has an "MB" or major body designation! The spacecraft ID is -98 or "NH" (for New Horizons). 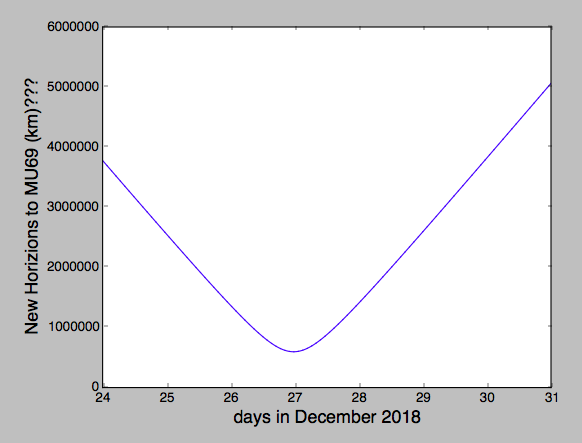 on 2019-Jan-1 @ 05:33 UTC. 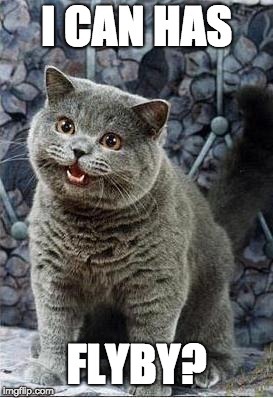 Specify the coordinate center in Horizons as "@2486958"
Specify the target in Horizons as "2486958". look-up in Horizons with syntax "2014 MU69;" or "486958;" or "DES= 2486958;"
or "DES= 2014 MU69" or "2486958;" (i.e., with a semi-colon). 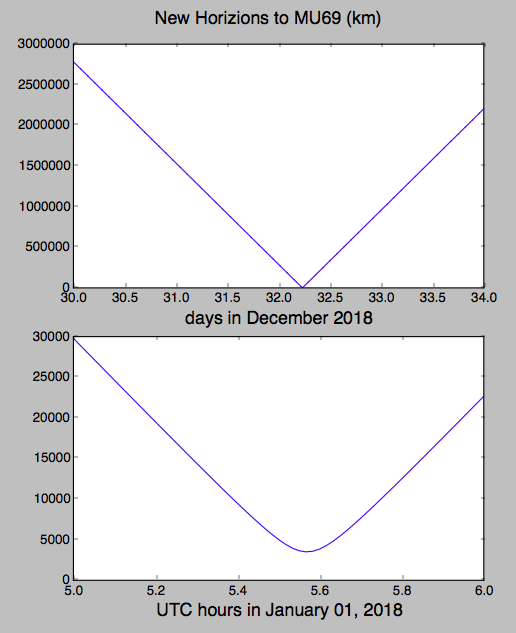 the present 2486958 (2000000 + IAU number). Double checking; yep, Cheezeburger Cat can have FlyBy! Not the answer you're looking for? Browse other questions tagged new-horizons flyby jpl-horizons 2014-mu69 or ask your own question.